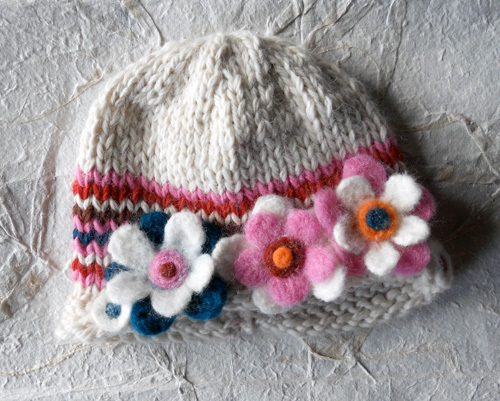 A blanket and hat for D’s and A’s baby girl due next month. 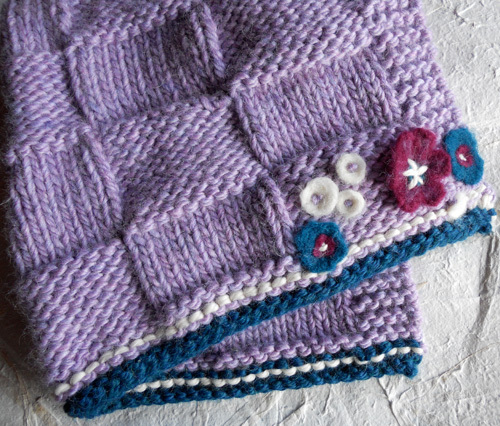 The felted embellishments on the blanket are on both sides of one corner. 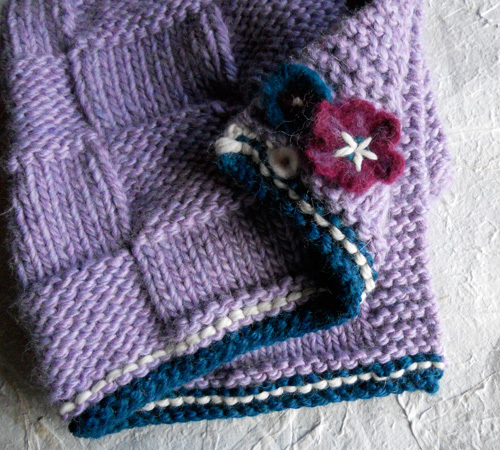 A small, warm blanket with stocking-knit pattern and needle felted embellishment. Flip the corner and the embellishment is the same.